Russian President Vladimir Putin said on Wednesday that North Korea was taking a lot of steps towards denuclearising the Korean Peninsula, but that Washington was not responding and was making endless demands for full disarmament instead. 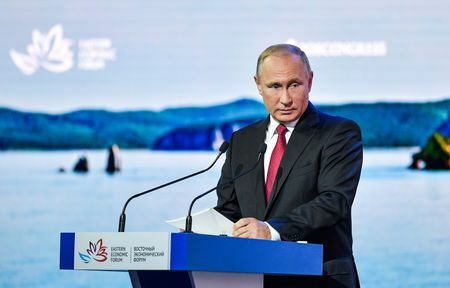 Putin, speaking at an economic forum in the Russian port city of Vladivostok, said it was counter-productive if one side did a lot and the other did nothing and said that Pyongyang was waiting for a response to the positive steps it had taken. Putin also said it was important that North Korea receive international guarantees on its own security.